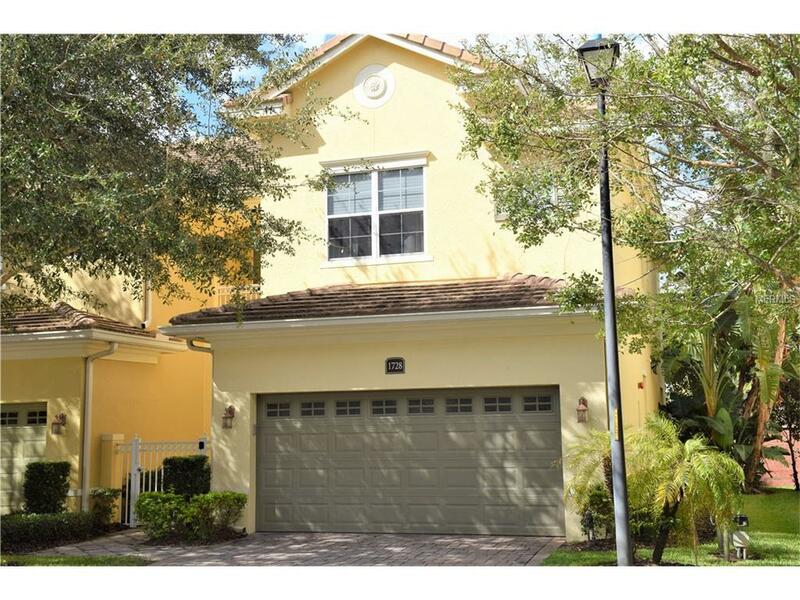 Beautiful two story Town home located in the desirable Gated Community of Grande Oaks at Heathrow. The Juniper Model which is loaded with upgrades, ready for immediate occupancy. Interior features include granite counter tops, 42 inch cabinets, high ceilings, crown molding, stainless steel appliances, breakfast bar, and pantry. The is a first floor den/office. The master suite is on the second floor and includes a garden tub, separate shower stall, dual vanities, and a large walk in closet . All of your bedrooms are on the second floor which is made with concrete flooring on all levels this is a corner unit with lots of side windows for natural light. Exterior features of this end unit include tile roof, over sized 2 car garage, and a screened porch/patio. Grande Oaks is a gated community that offers a beautiful club house, fitness center, and large pool. Walking distance to restaurants, shopping/groceries, movie theater, and more. Close to I-4 and 417. This community has a Gated Entry, Clubhouse, Fitness Center, Community Pool, Playground, Alarm Monitoring, Cable Television. You are close to Hospitals, Shopping, Dining & Entertainment. Listing provided courtesy of Re/Max Vantage.